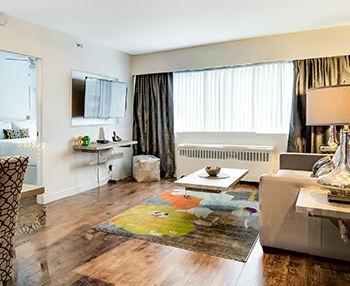 Our one-bedroom and two-bedroom suites – Vancouver’s largest at 600-1,900 sq.ft. – make every visit to Vancouver memorable. Inviting neighborhood views. 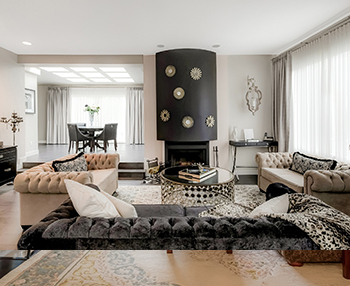 Cozy wood-burning fireplaces. Fully equipped kitchens. A Hollywood Golden Era penthouse suite. 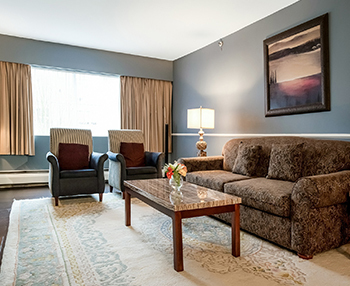 It’s all here at Rosellen Suites at Stanley Park hotel. Feeling regal, wild or diva-like? 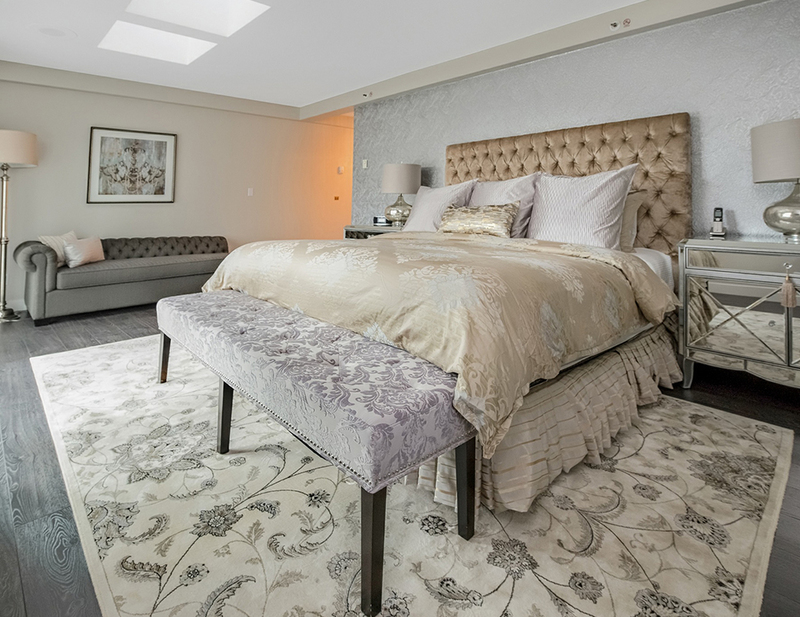 There’s a newly designed “Personal-ity” Suite just for you with themed décor and upgraded comforts including luxury bedding, flat screen TV, DVD player and CD stereo with iPod docking station. 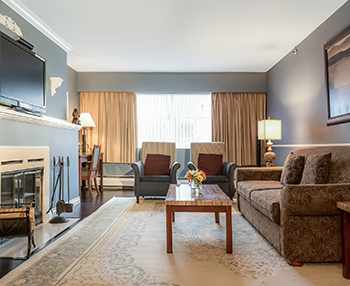 For a warm, relaxing home-like experience, try our Classic Suites. 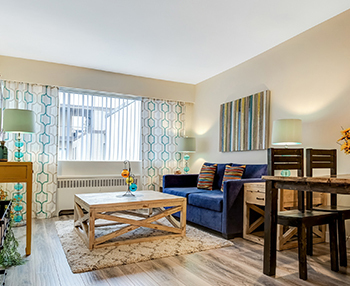 The separate living area in this one-bedroom suite gives you plenty of room for socializing or meeting with colleagues. 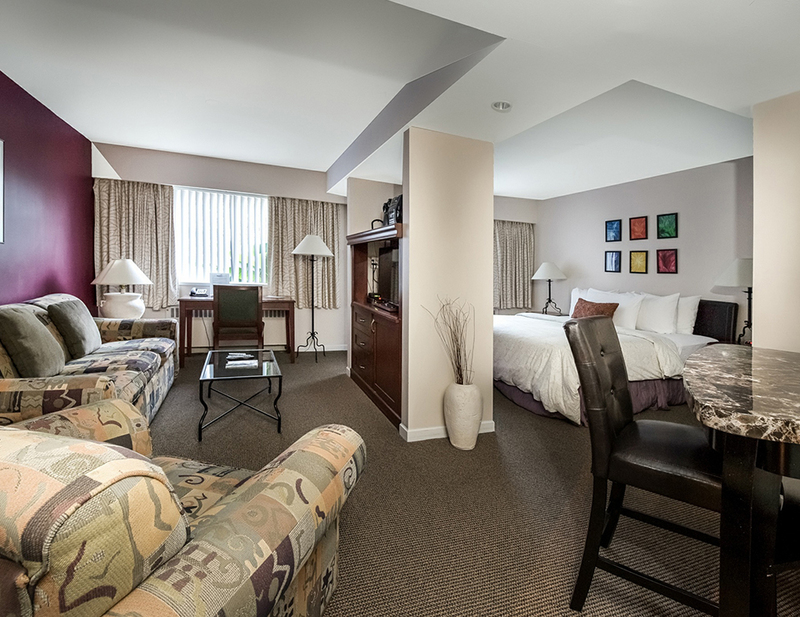 This large suite is a great space for a family or two couples traveling together. For couples traveling together or families with teens, this suite offers the privacy and convenience of a second bathroom. 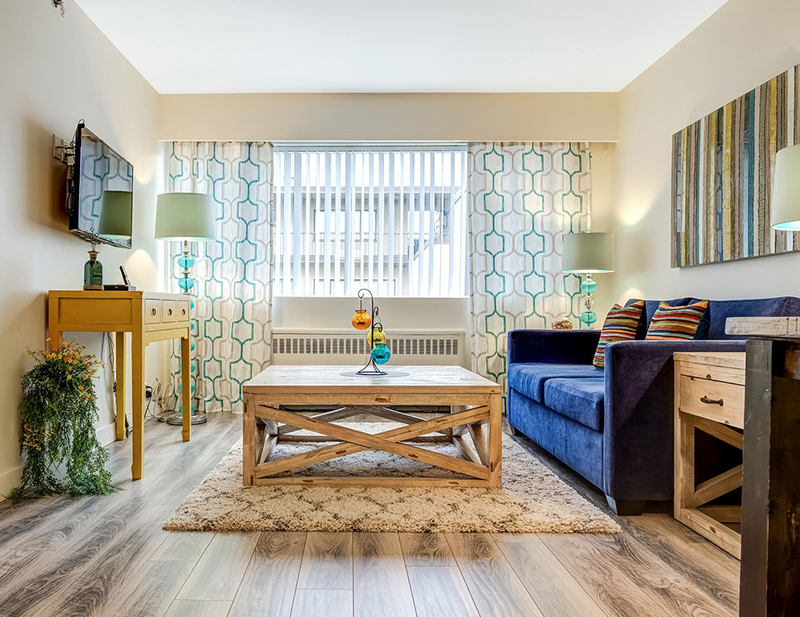 With this suite’s open floor plan you can bring family and friends together around the fireplace or dinner table. 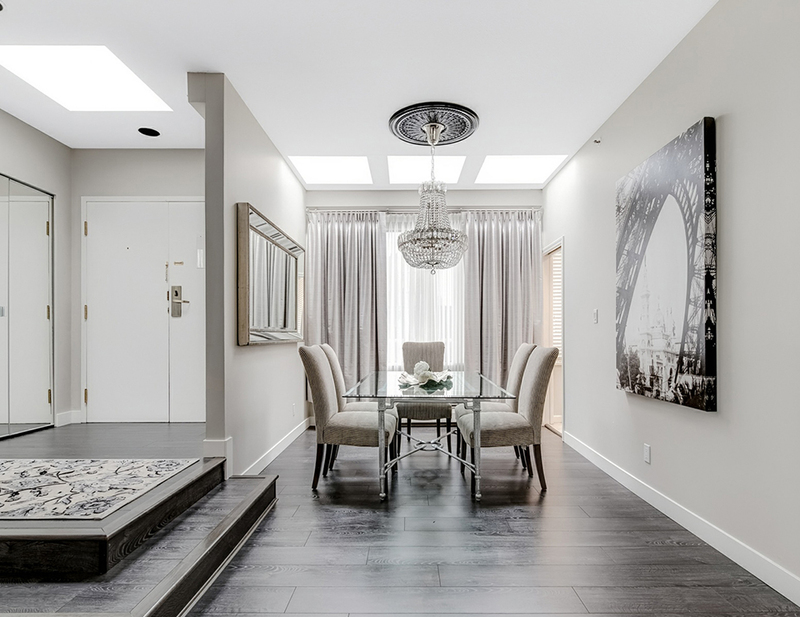 This glamorous two-bedroom, two-bathroom suite is one of Vancouver’s best-kept secrets.